Blooms executive rooms have an average carpet area of 198 sq. ft. with king size indulgent bed and duvet. High ceiling and wood finishing with see through bathroom define the executive rooms. Each room is stocked with a plentiful supply of luxurious amenities. 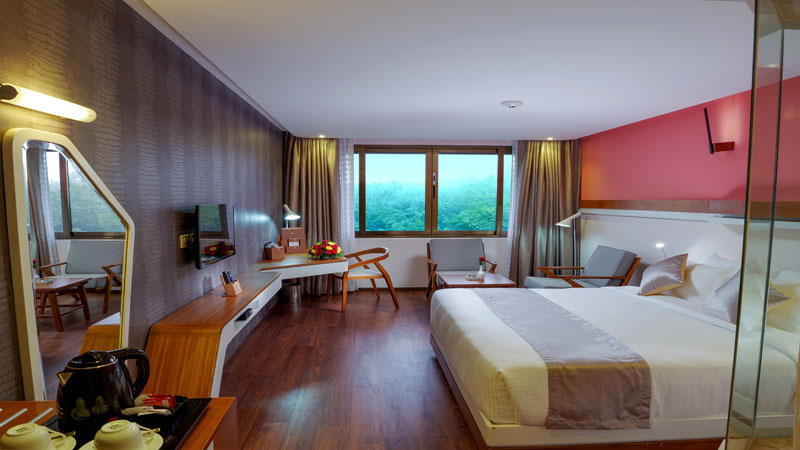 Each room offers either Infopark or plantation view. A spacious marble bathroom with separate shower.